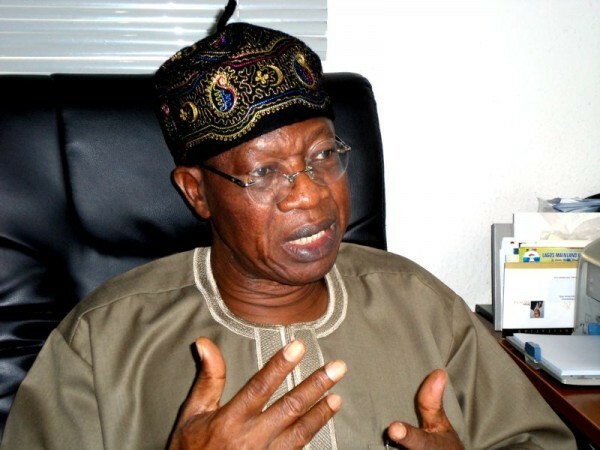 The Minister for Information and Culture, Lai Mohammed said in his statement that the Indigenous People of Biafra (IPOB) is being sponsored by disgruntled people aiming to destabilize the Buhari-administration. In a press conference on Sunday, the minister, according to PoliticsNGR, said the group is sponsored by “treasury looters” who wish to destabilize the country. He said the group’s aim is to divert attention from the efforts of the Buhari-administration, and “obliterate” the achievements of President Muhammadu Buhari. Nigerians must understand that IPOB was not set up to fight for the right of anyone or group, but as a tool to destabilize the nation, divert attention from the efforts of the Buhari Administration and obliterate the laudable achievements of the Government. IPOB is being sponsored by those I will call the Coalition of the Politically Disgruntled and the Treasury Looters. They believe that by sponsoring this group to destabilize the country and trigger chaos, they will realize their ambition of escaping justice and then be free to dip their hands into the nation’s treasury again.